This pressurized system is suitable for any kind of painting, as it creates a fully dust-free environment. It can be combined with a dry or water paint booth. 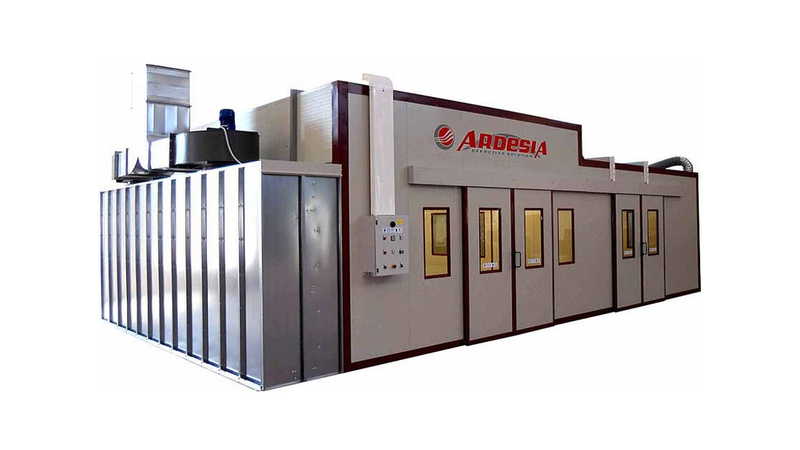 The Ardesia pressurized system is made up of pre-painted sandwich panels; its main feature is the double airflow in the painting and drying area. Air is blown through a pre-filter and a large ceiling filter.